Disclosure: The Lapdogs are Chewy Influencers and received a bag of Nulo Freestyle Jerky Strips dog treats, free of charge, in exchange for spreading the word about the product and Chewy. We only share information that we feel is relevant to our readers. All opinions expressed are our own. Our friends over at Chewy sent another new-to-us treat that has quickly become a favorite, Nulo Freestyle Jerky Strips. Seriously, don't those recipes sound like something you would love to have for dinner tonight? I love seeing such varied ingredients and flavor combinations available for our dogs these days. After much consideration, I decided they would enjoy the Salmon & Strawberry best. Well, maybe I was the one most intrigued by the combination of salmon and strawberries, and decided my dogs needed to try it. I'm quite sure they wouldn't care which one they tried and would happily devour any or all of the flavors. I was right. 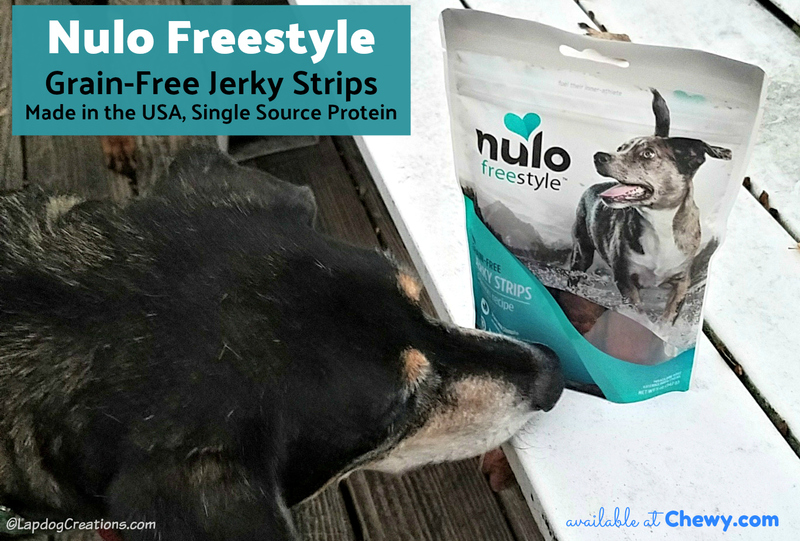 The Lapdogs love the Nulo Freestyle Salmon & Strawberry Jerky Strips and were drooling for more! I love that you can feed the strips whole, or break them into smaller bites. I'm always looking for high-value treats for Penny's nosework training and these are perfect. We'll be adding these to our treat rotation in the Lapdog household and highly recommend them to you as well. 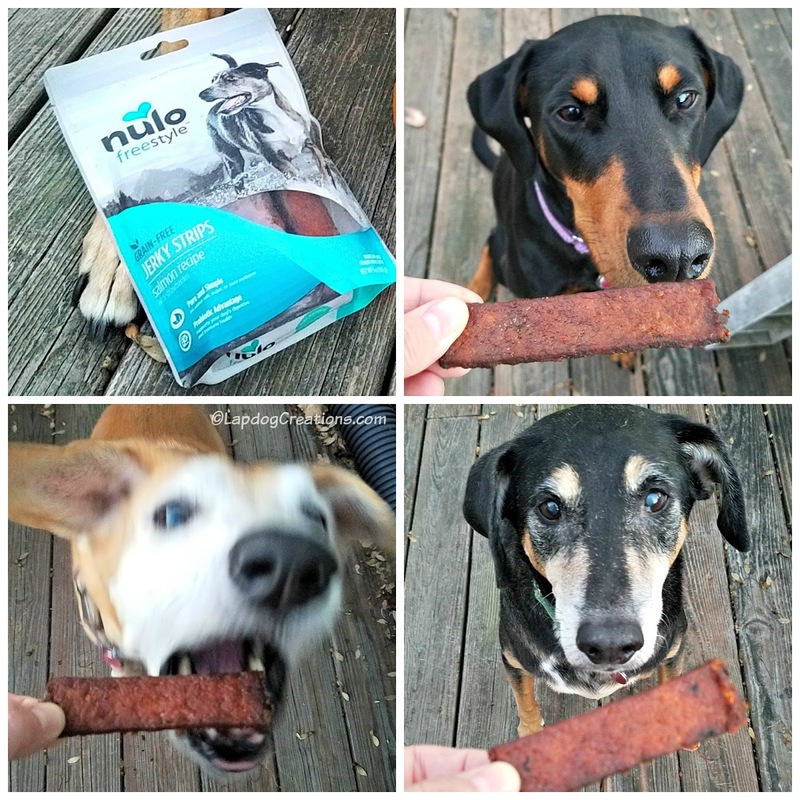 You can order Nulo dog treats from Chewy where 1-2 day shipping is always free on orders over $49! Those flavor combinations all sound wonderful. My dogs don't get jerky but I might reconsider those if they're soft and tearable. I know the mutts would love them. And since humans love jerky so much, why not give some to our furry friends, too? This dog friendly option sounds wonderful.